The Moto Z3 Play is Motorola’s biggest midrange device of the year. Its predecessors share the “Z” name with the previous flagships: the Moto Z and Moto Z2. 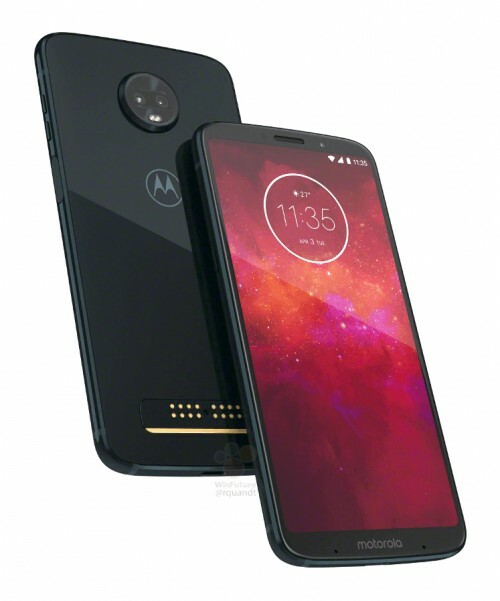 Today, a set of renders for the Moto Z3 Play have leaked ahead of an official announcement, which Motorola is likely holding in Brazil on June 6. We can learn a lot about the anticipated Moto Z3 by looking at these renders, but let’s talk about the Z3 Play since it’s the one actually in these renders. The Z3 Play will have a taller display with curved corners, which we assume carries an 18:9 aspect ratio. The back of the phone has the same Moto Mod magnetic interface and it looks like all first-generation Moto Mods will be compatible with the latest-generation Moto Z3 devices. Something interesting is that we are seeing a glossy backside, which could be either glass or plastic. Our bet is that it’s made of glass and we can probably expect the flagship Z3 to have a glass back (we need to stop with these fragile glass sandwiches). The fingerprint scanner has been moved from the front chin to the side – on the power key, which has a much larger surface area to accommodate for this sensor. Otherwise, there’s a brand new button on the left side of the device. We’re not sure what it could be, but our first guess is it may be a press-hold button to speak to Google Assistant/Moto Actions. Our second guess is that it’s a mute switch, but we think the first guess is more likely. Rather than leave the bottom of the phone blank, we see some Motorola branding on the chin. 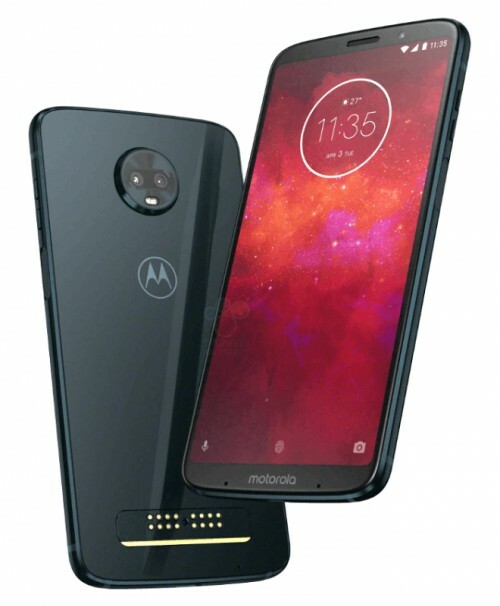 We always saw “Moto” in 2017 Motorola phones or no Moto at all and just the Moto Batwing logo. Anyway, we felt the need to point it out since most smartphones don’t have branding on the front of the phone as bezels got smaller. One thing that throws us off is the date on the phone’s render: April 3, which happens to be my birthday, but that’s not why I pointed it out. Usually a smartphone render announced in June doesn’t have a date from two months ago. Interestingly, the other Moto phones announced in April have the same date so the renders must have been made at the same time as those. 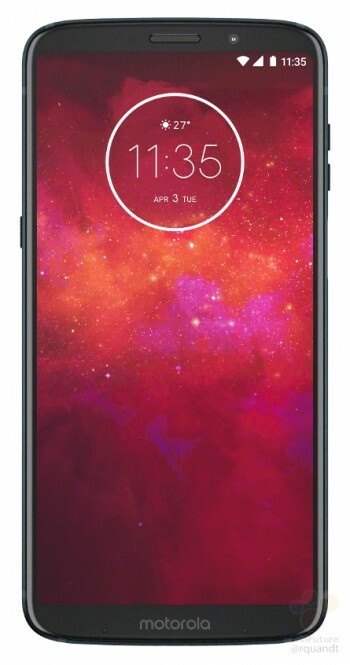 What do you think of the alleged Moto Z3 Play? More importantly, what do you think that new button on the left side does? Most probably they are going to price it around US$ 400.